A number of leaders in the fields of self-help, health and spirituality share their personal stories about Louise Hay’s impact on their lives in the full-length movie – including Doreen Virtue, Gregg Braden, Wayne W. Dyer, Gay Hendricks, Esther and Jerry Hicks, Leon Nacson, Dr. Christiane Northrup, Dr. Candace B. Pert, Cheryl Richardson, Dr. Mona Lisa Schulz, and many others. Best-selling author Gregg Braden says, “I was working as a defense systems computer engineer during the last years of the Cold War when I first read Louise’s book, You Can Heal Your Life. “It came to me at a turning point in my life and I found it so beautiful, so powerful, and so true. “When I began making movies, I decided I would only work on projects that went beyond entertainment to become vehicles of positive life-change for people. 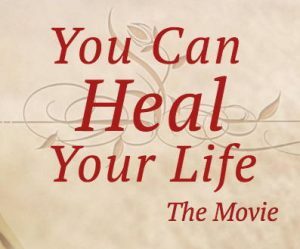 “Making a movie based on You Can Heal Your Life, which has been a beacon of inspiration, hope and healing for millions of people, is a dream come true for me. “The miracle of this movie began almost from the day we started shooting it. Members of the crew—many of whom are new to the concept that changing your thoughts can change your life—have already experienced profound, positive changes in their lives just from working on the project. 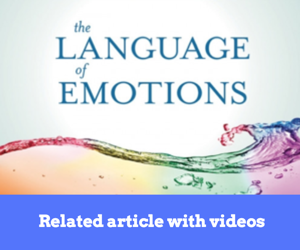 Douglas Eby (M.A./Psychology) is author of the Talent Development Resources and The Creative Mind series of sites including High Ability; Highly Sensitive and Creative, and others - which provide "Information and inspiration to enhance creativity and personal development." Also see Résumé. 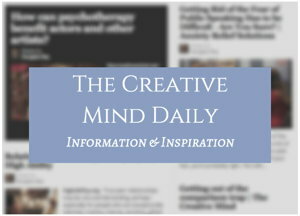 Personal Growth Information is part of The Creative Mind series of sites by Douglas Eby - with information and inspiration for exploring your creativity and personal growth.